This is actually a good find by my sister-in-law. It's being sold in Uniwide stores, however, and the staff may have to really check storage for them. 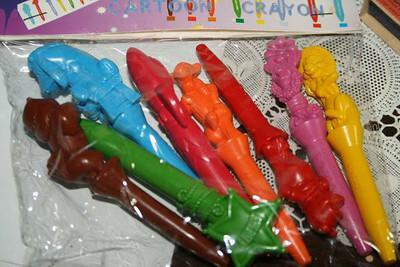 They're crayons with Disney shapes and they color nice. The pink one breaks easily though. 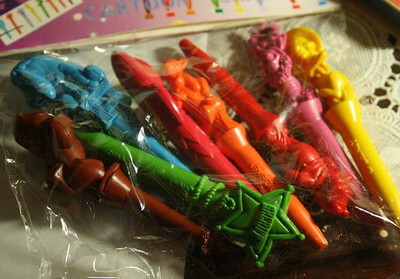 Each pack of eight crayons sells for P15 each. Ang mura nga! Wish I'd known about this earlier. I'm going to the nearest Uniwide store later to check if merong available na ganyan for Adam's lootbags. Thanks for posting! That's cheap and unique too!